Hello Friends, Once once again i am here with you to explain SQL Injection in more detail on your request. As i Already Shared some Website Hacking (Authentication Bypass) by SQL Injection Tutorial, but as on your request this time i am going to explain in little deep Step By Step Manual SQL Injection. 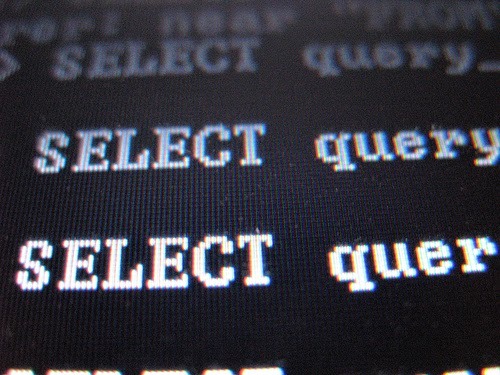 So Lets Start From Initial.. :) By Defining What is SQL And SQL Injection ? respectively.SQL is used to design the databses. The information is stored in databses. Now You Wanna Ask What a hacker can do with SQL Injection attack? well a hacker can do following operation by SQL Injection. How to test whether its Vulnerable or Not..??? its simple, attach a single quote (') at the end of (some value) ie.. 64' url will look like.. If the page remains in same page or showing that page not found, then it is not vulnerable. Our next step is to find the number of columns present in the target database. For that replace the single quotes(') with "order by n" statement. Change the n from 1,2,3,4,,...n. Until you get the error like "unknown column ". so now x=3 , The number of column is x-1 i.e, 2. In case ,if the above method fails to work for you, then try to add the "--" at the end of the statement. We have successfully discovered the number of columns present in the target database. Let us find the vulnerable column by trying the query "union select columns_sequence". Change the id value to negative(i mean id=-2). Replace the columns_sequence with the no from 1 to x-1(number of columns) separated with commas(,). Once you execute the query, it will display the vulnerable column. Bingo, column '3' and '7' are found to be vulnerable. Let us take the first vulnerable column '3' . We can inject our query in this column. Replace the 3 from the query with "version()"
Now, It will display the version as 5.0.1 or 4.3. something like this. If the Database version is 5 or above. If the version is 4.x, then you have to guess the table names (blind sql injection attack). Let us find the table name of the database. Replace the 3 with "group_concat(table_name) and add the "from information_schema.tables where table_schema=database()"
Now it will display the list of table names. Find the table name which is related with the admin or user. Let us choose the "admin " table. There is a repeating element like in this case is 'id' .From it, we come to know which table number has which columns. We can fetch the data stored in any column. But the interesting ones here are username and password. These columns are in first table that is tar_admin. "0x3a" is used simply to insert a colon in result to separate it, it is hex of colon. So finally we got the usernames and passwords on screen. But passwords maybe encrypted. Note:Hashes are type of encryptions which are irreversible. There are numberless online crackers available. Keep trying. Sometimes very strong hashes can not be cracked. Where is the login panel or login page of website ? So you got the key, where is lock now ? Most of the websites have login pages at default locations. You Can Find Admin Loggin Pages By Using My Tool Admin Finder. No Comment to " Website Hacking : Step By Step Manual SQL Injection "